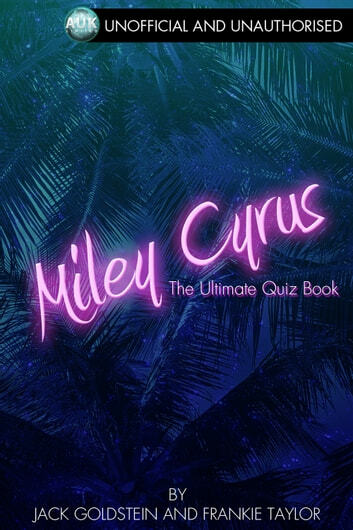 This excellent quiz book contains 140 questions to test the knowledge of any Miley Cyrus fan. From questions everyone should know all the way through to trivia that would challenge even the ultimate smiler, this is a fantastic addition to any bookshelf. With easy navigation between each question and answer section - including Miley’s music, acting, love life, lyrics and much more - you are sure to enjoy this fantastic quiz. Play it yourself or test your friends!